Nghe An (VNA) – The central province of Nghe An held a memorial and burial service for the remains of 65 Vietnamese volunteer soldiers and experts who laid down their lives in Lao battlefields during wartime. The remains were searched for and gathered in the Lao provinces of Xiengkhuang, Vientiane and Xaysomboon between 2015 and 2016, by a specialised team from Nghe An province. 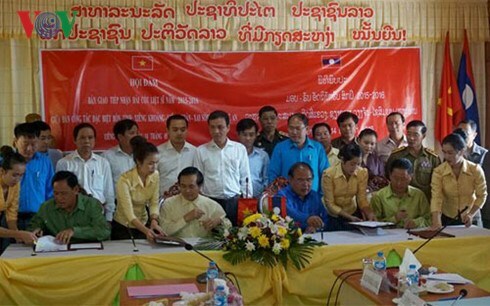 Vice Chairman of the provincial People’s Committee Le Ngoc Hoa hailed the team’s efforts.